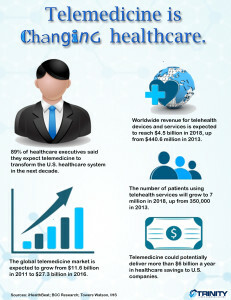 The acceptance of telemedicine as a reliable and efficient way to deliver quality healthcare continues to grow. At this time, one can only speculate as to how the technology will influence the total care model. 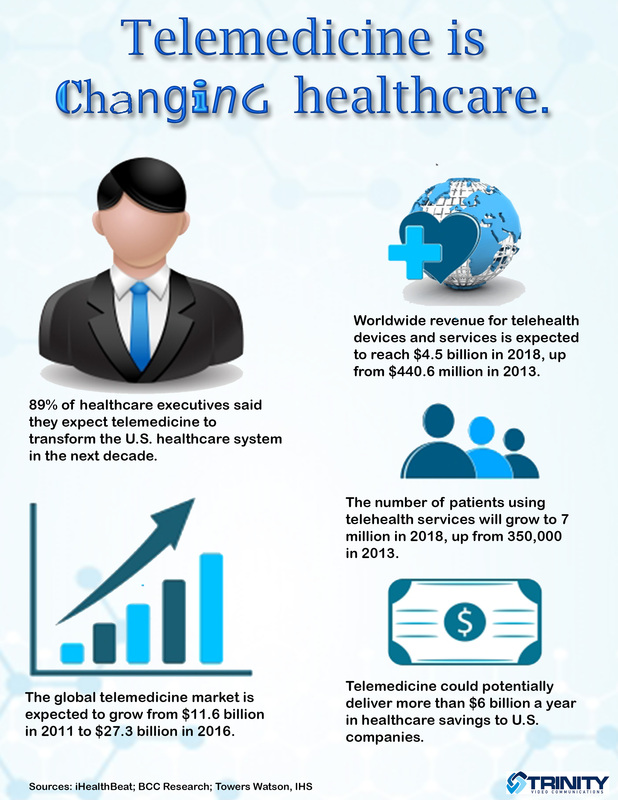 Check out this telemedicine info-graphic to get a glimpse of what may lie ahead for telemedicine, patients and care providers. Trinity Video Communications is an industry leading audiovisual and video communications company that provides HIPAA-compliant, bring your own device (BYOD) telemedicine solutions to facilitate real-time, face-to-face communications between patient and medical staff anytime, anywhere and from any device (smartphone, laptop, desktop or tablet). Trinity Video Communications is headquartered in Louisville, Kentucky with additional offices in Sterling, Virginia and Cincinnati, Ohio. For more information, call 1-800-261-9008.